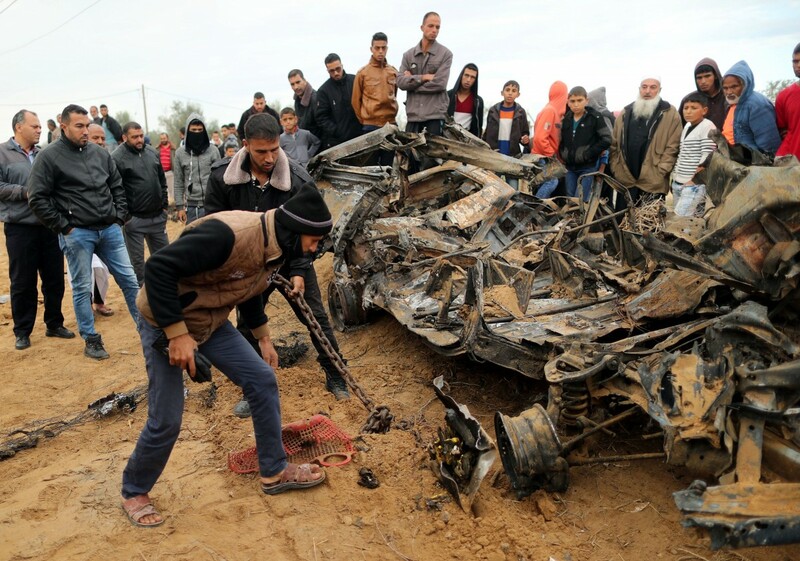 The Israeli raid into Gaza Sunday left seven Palestinian militants dead, including a local Hamas commander. 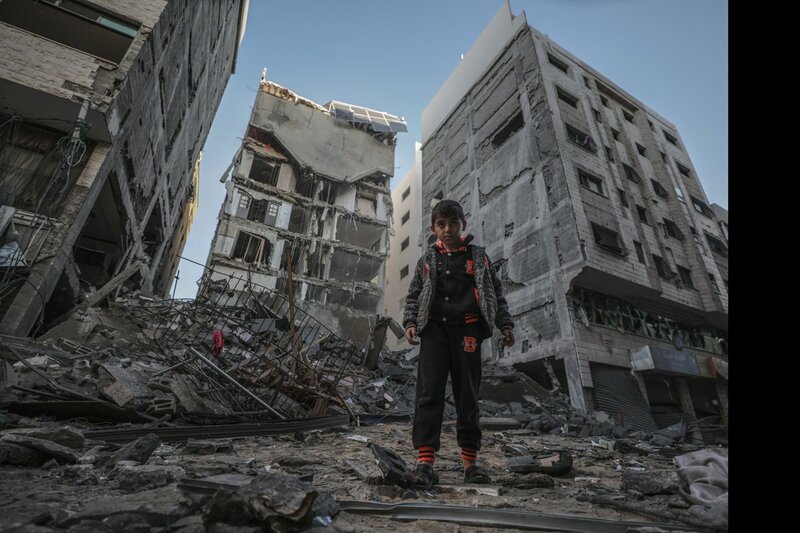 Image copyright AFP Image caption Buildings in the southern Israeli town of Ashkelon were hit by rockets fired from Gaza Eight people have been killed in a flare-up of violence between Israel and Palestinian militants in Gaza. 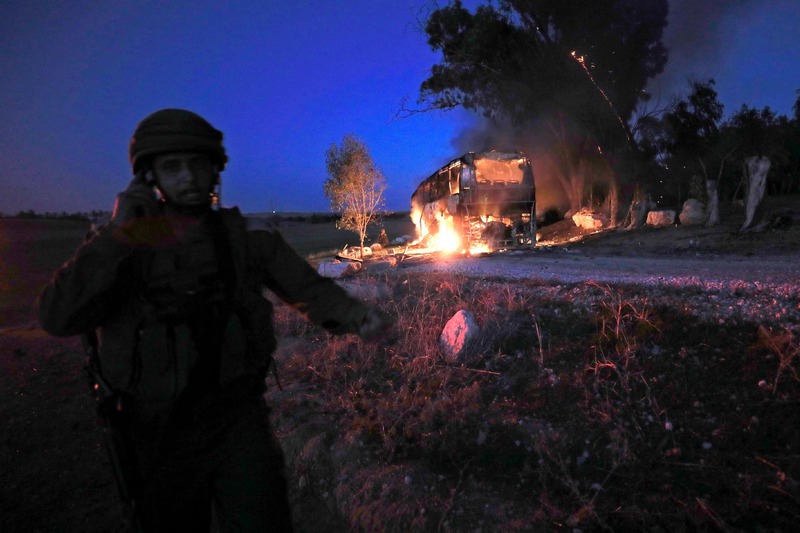 IDF spokesman just confirmed: Anti-tank missile fired at civilian bus on Gaza-Israel border. 1 seriously injured - could have been more if more ppl on bus. Major escalation by Hamas. Israel and Hamas have gone to war three times, and rocket fire from Gaza and Israeli air strikes against militant targets are a regular occurrence. No @SkyNews this was not violence on the Israel-Gaza border. This event happened some 3km inside Gaza. Not everything concerning Gaza is about Palestinians storming the border fence. Please amend your story. Gaza (left) and southern Israel (right) have spent a sleepless night amid explosions and sirens. There is a general climate of fear and anxiety. Everybody is asking what will happen next. On both sides of the border, streets are deserted and the schools are closed. RIGHT NOW: Israel Foreign Ministrys @yiftahc near the #Gaza border: #Hamas is committing a double war crime by targeting Israeli civilian communities from within Gazas population centers. BREAKING: Dozens of rockets being fired into Israel from Gaza right now. @FoxNews is at the border. Image copyright EPA Image caption Israeli aircraft struck the Hamas interior security headquarters in Gaza City It said they included Hamas's military intelligence headquarters in northern Gaza and "a unique vessel" in a harbour in the south of the territory. Image copyright AFP Image caption Schools have been ordered to close in Israeli border communities as a precaution Israel, along with Egypt, has maintained a blockade of Gaza since about 2006 in order, they say, to stop attacks by militants. When a terrorist organization on your border launches 300 rockets at your civilian population, you have to respond. You are justified to respond. 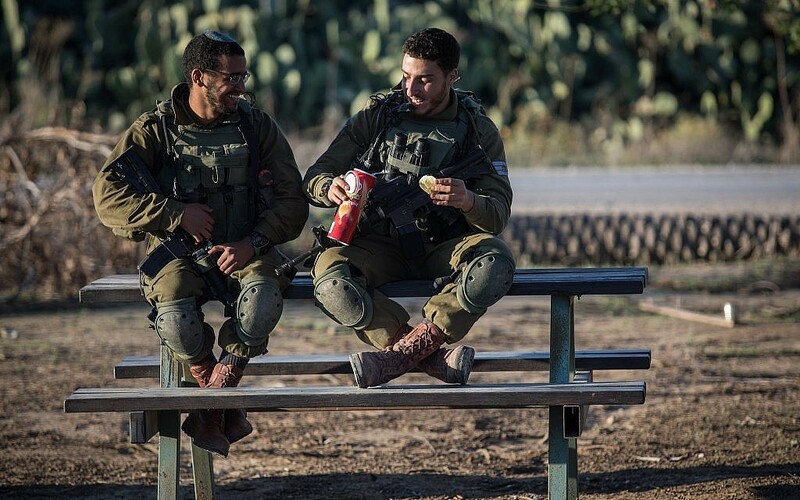 Wishing the people of southern Israel and Gaza a quiet night, with no Hamas rocket launches and no need to respond.